Brad Paisley is back with a new album, Love and War, and it’s his 11th studio album. If the first two songs off it released to radio for airplay are any indication, it would be a great album for any music lover’s collection. I’ve already covered “Today”, the first release off Love and War. You can read that here. I’ve also talked about his song “Shattered Glass” from his Moonshine in the Trunk album. This review is of his song “Last Time For Everything”. Let me just say that this song is great! It has everything that I love in a song. 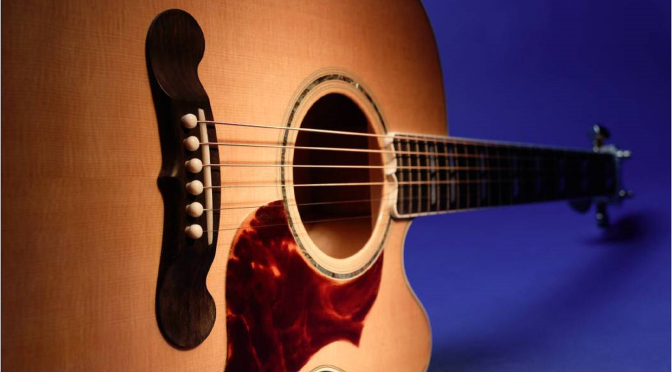 A catchy melody, relatable lyrics, and it’s easy to sing along to. This song is a unique take on memories. I’m sure you’ve heard the phrase “first time for everything” many times. In country music, there’s even a Little Texas song with that for the title but Paisley twists it around focusing on the last times in life. 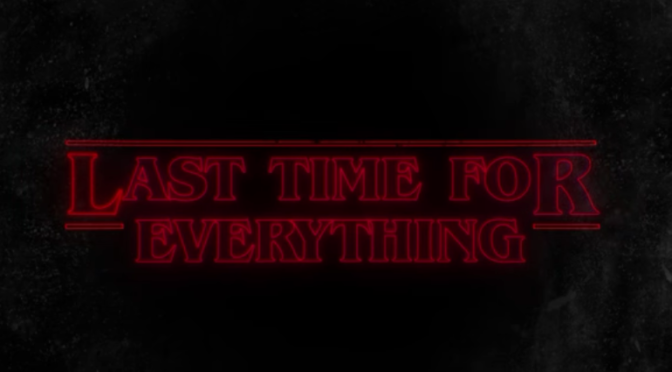 “Last Time For Everything” is a song that is an at times funny and at other times sentimental walk down memory lane. Even if Paisley’s memories don’t match up perfectly with yours… I’m confident this song will spur similar flashbacks for you. Give it a watch and listen. What memories does it bring back for you? It’s Holy Week. A time Christians reflect on the death of Jesus. One way I process it all is through music. I thought I’d share some of the songs I’ve been listening to this week. Give some of them a listen and then let me know what songs you’d add to this Holy Week Playlist. Be forewarned, some of the images in the a few of the videos below are graphic. I guess it’d be hard to depict crucifixion and not be graphic. What song would you add to this Holy Week Playlist? One of the things on my list of 17 Things I Want To Accomplish in 2017 was to take each of my daughters out at least twice. 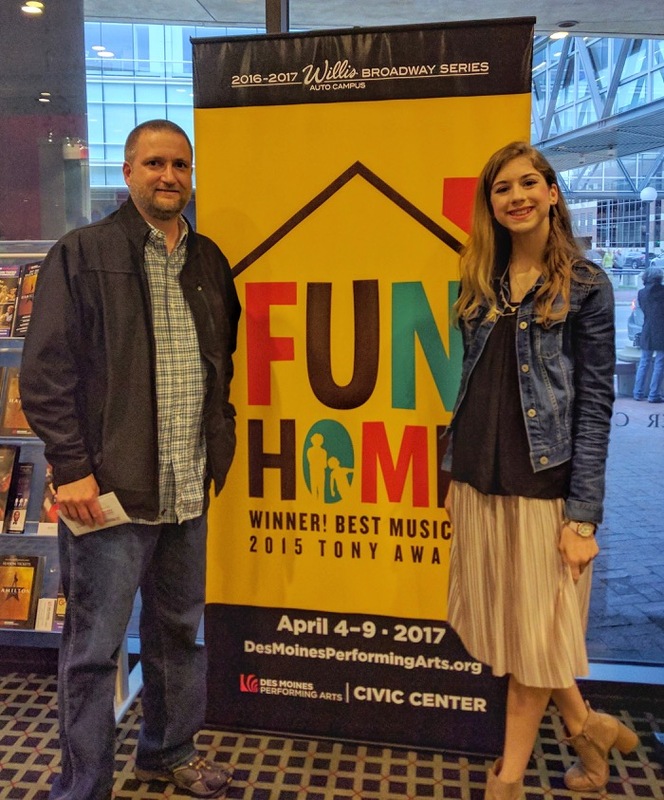 This week I had to chance to take care of one of those dad/daughter dates by taking my oldest to the opening night of Fun Home at Des Moines Civic Center. I had never heard of this particular musical until seeing advertisements for it. The fact I didn’t know anything about it had me excited for the show. I’m familiar with all your standard musicals, as I’ve seen or been in a lot of them… but this was my first viewing of a “modern” musical. One that walked away with 5 Tony wins in 2015 including Best Musical and Best Score. It’s based on Fun Home, Alison Bechdel’s best-selling graphic memoir. Let me start by saying that this show isn’t for everyone. The subject matter deals with a girl coming out as a lesbian to her parents, their family dynamic, suicide, and the internal and personal struggles her father dealt with on his own. If any of those are trigger topics for you this is one show you should probably skip. On the other hand, if you have no issues with these topics I’d definitely recommend this show for anyone over the age of 14. The music is fun and modern and I really liked that the the orchestra was visible on stage for a large portion of the show. It wasn’t a distraction but a subtle reminder that the music was all done live and wasn’t a pre-recorded track (which one might have questioned otherwise since it was so good). The main character, Alison, is seen in 3 different stages of her life; as a kid, a young college girl, and a 43 year old woman. It was interesting the way all three could be onstage at the same time weaving the story together. It might sound confusing but it really wasn’t. All the actors were great but special note should be given to Kate Shindle for her role of Alison. 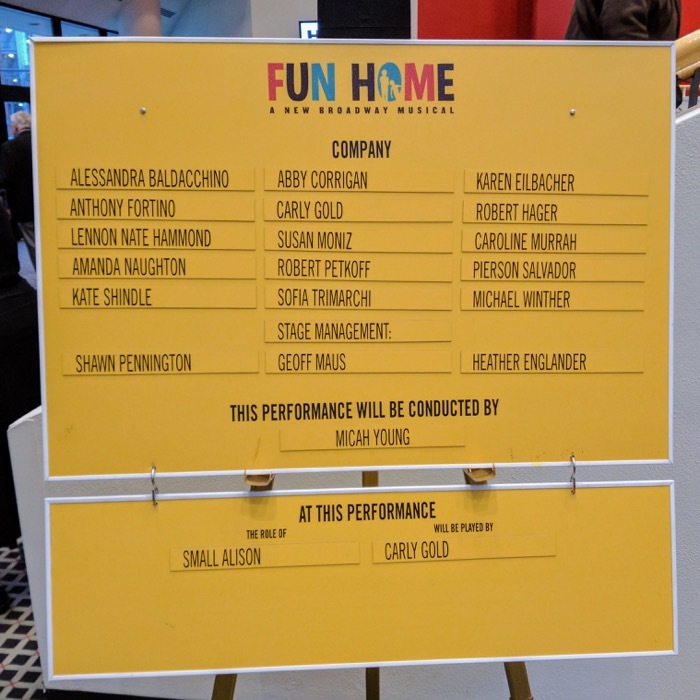 Her voice is amazing and she is onstage for most of the show (maybe the whole thing) which is pretty impressive since the run time is roughly an hour and forty-five minutes. There was no intermission at the performance we attended but that didn’t matter. At no time was I bored checking my phone to see what time it was. Just like with Sound Of Music and Jersey Boys, I was impressed with the staging. Gone are the days of a scene fading to black followed by a 30 second set change for the next scene. The scene changes were fast and seamless. One interesting set note was when a wall was raised and turned into the ceiling of a room. This brought the height of the stage down, giving a smaller feel to the room on the stage. There were several great songs and moments in the show. One of my favorites was Telephone Wire… a beautiful song/awkward conversation during a car ride between Allison and her dad. There was a certain tension that was amped because of the live performance. 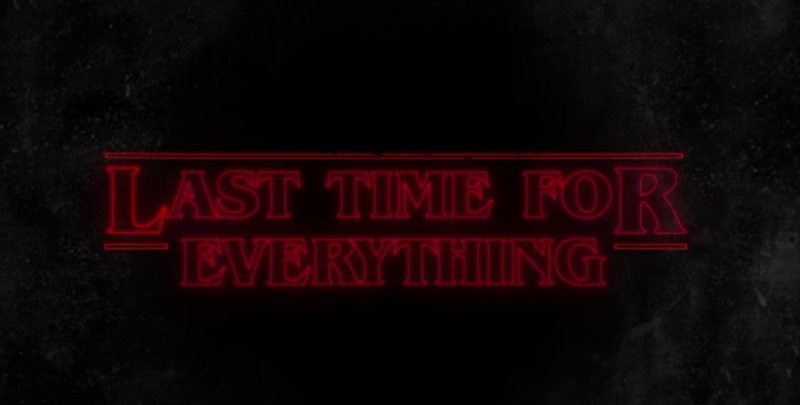 The kind of feeling you can’t get from a TV show or movie. Speaking of live performances… I was slightly annoyed by some theater-goers behind us and their whispering commentary a few times during the show. The worst was right after the most dramatic, hold your breath moment of the show. They whispered stating the obvious of what we had all just witnessed… and it jolted me out of the moment a little sooner that I would’ve preferred. Because there is a subtle complexity to the theme, music, and conversations, this is one show I’d love to see again. Unfortunately, my time is booked for the rest of the run through April 9, 2017 in Des Moines. 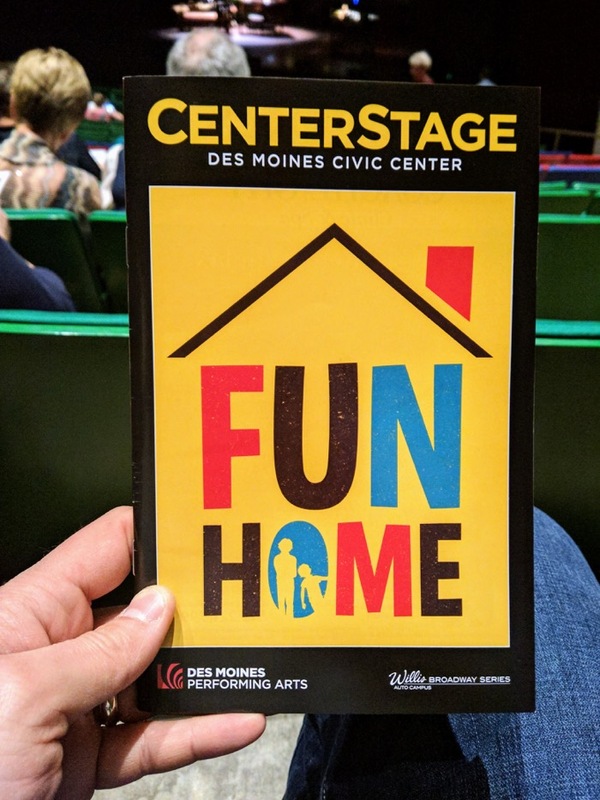 If Fun Home does make a return trip to Des Moines in the future I’ll be sure to attend again. 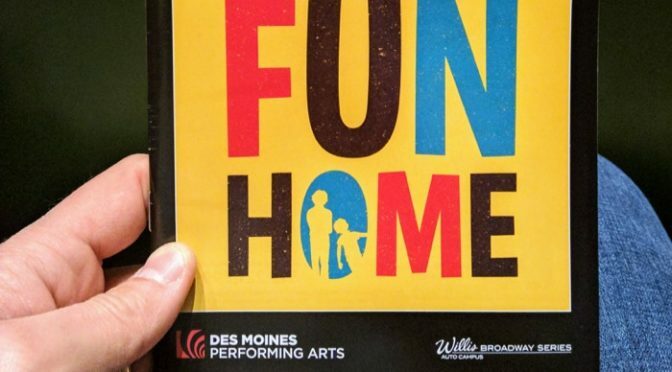 Learn more about the show and get tickets on the Des Moines Performing Arts website. ***Disclaimer: I was provided with free press night tickets. All opinions are my own.